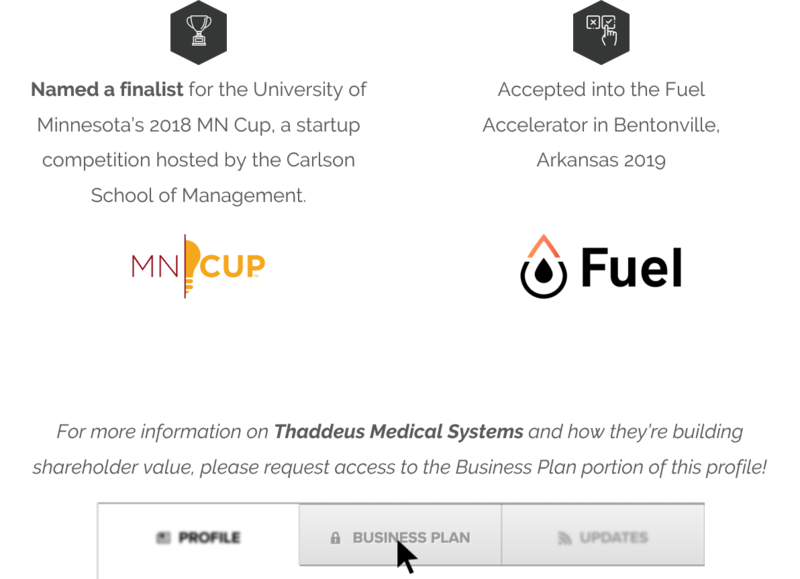 Thaddeus Medical Systems is logistics-focused biotech packaging manufacturer looking to repair the rampant inefficiencies present in the packaging & shipment of sensitive medical items. Our initial solution takes the shape of a highly durable temperature-controlled box that ensures all key variables are controlled and constantly monitored for optimal shipment safety. It’s supported by a cloud-based software portal for easy management & data analysis. But this process, also known as the “cold chain”, is becoming trapped in the ice age of the industry. In fact, over $35 billion is wasted annually within it - largely due to poor practices surrounding transit and storage of temperature-sensitive products & specimens. To combat this, pharmaceutical companies are investing heavily in packaging - at an average of roughly 9% of total logistics expenditures (up from 6% in 2012). 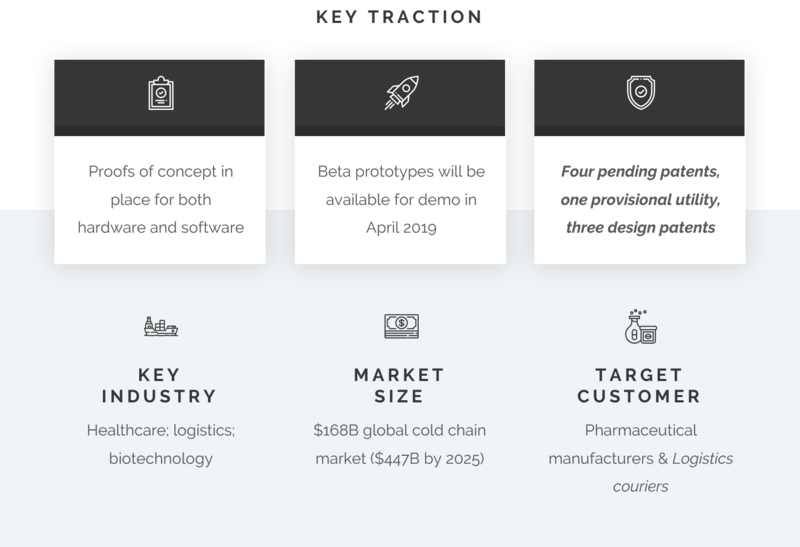 The time has come to move the cold chain from the passive ice age to the active IoT age. 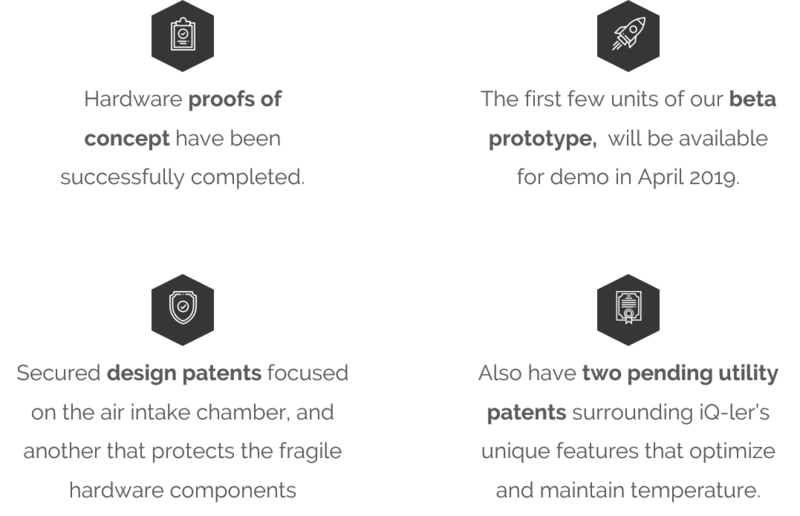 Introducing Thaddeus Medical Systems: an up-and-coming innovator of smart packaging technology for temperature-sensitive products. At our core, we rely on IoT-enabled, reusable, active temperature-regulated hardware and software to protect perishable products. 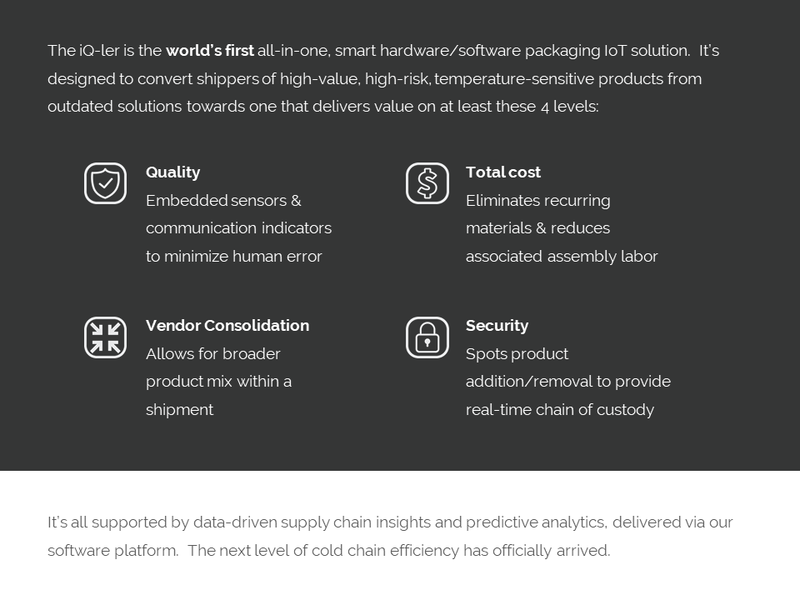 Our flagship product, called the iQ-ler, is allowing us to position our brand as a pioneer in the cold-chain packaging industry. 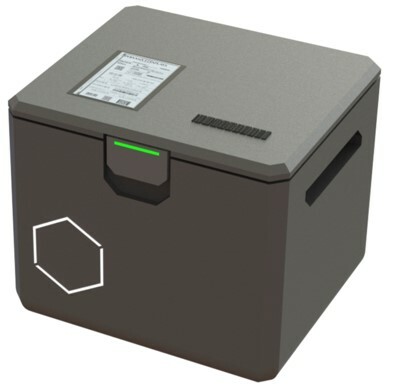 The iQ-ler’s hardware elements is more temperature controlled box than traditional cooler - built with military-spec co-polymer case and hardware. It’s durable, rugged, designed to last for years, and equipped with tracking for location, pressure, temperature, & all other necessary insights. From rural medical care to military applications, this makes it an ideal solution for virtually anywhere medicine has to travel long distances & times to get to the end patient. Plus, it’s made to be reusable as possible (unlike other existing solutions). iQ-ler’s physical component is rounded out by a cloud-based software platform that serves as the hub for centralized data management and aggregation. The combined power of iQ-ler’s hardware and software results in unmatched value for customers - greatly improving workflow efficiency, product integrity, and transparency. Cost & waste per shipment are reduced, and air-to-ground conversion is also made easy. Thaddeus was conceptualized by Founder & CEO Dr. Steve Scully, an M.D./Ph.D with a decade-plus of experience in research and clinical laboratory environments.